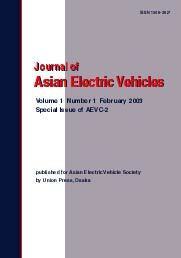 The Journal of Asian Electric Vehicles (JAEV) editors welcome original scientific contributions on the electric and hybrid vehicles, the urban transportation, the battery, LRT, EV policy and EV related subjects. Manuscript should be sent to one of the following editor/co-editors after referring the guideline of paper submission on the JAEV. Please click here to the Guideline for Authors. Please click here to the Sample Pages of Final Manuscript for JAEV. copyright (c) 2008 asian electric vehicle society. all rights reserved.